Pav bhaji recipe with Step by Step Photos. 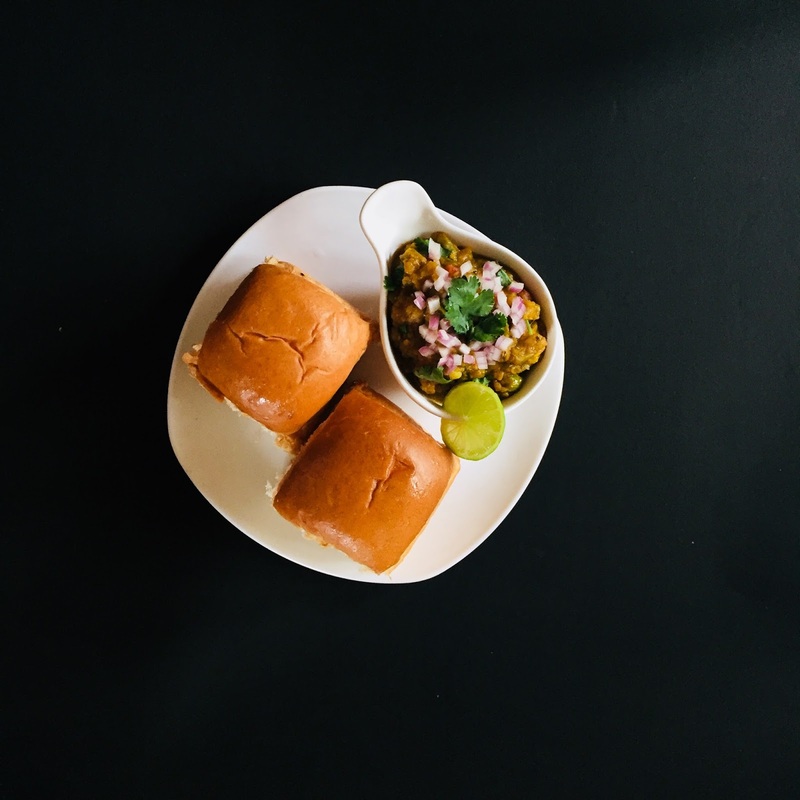 Pav bhaji is very famous fast food from Maharashtra. Vegetables are boiled and mashed then they are cooked with pav bhaji masala. Lime juice, fresh coriander and onions are sprinkled on the Bhaji. It is then served with soft pav toasted in butter. Pav bhaji masala is the hero in this recipe. 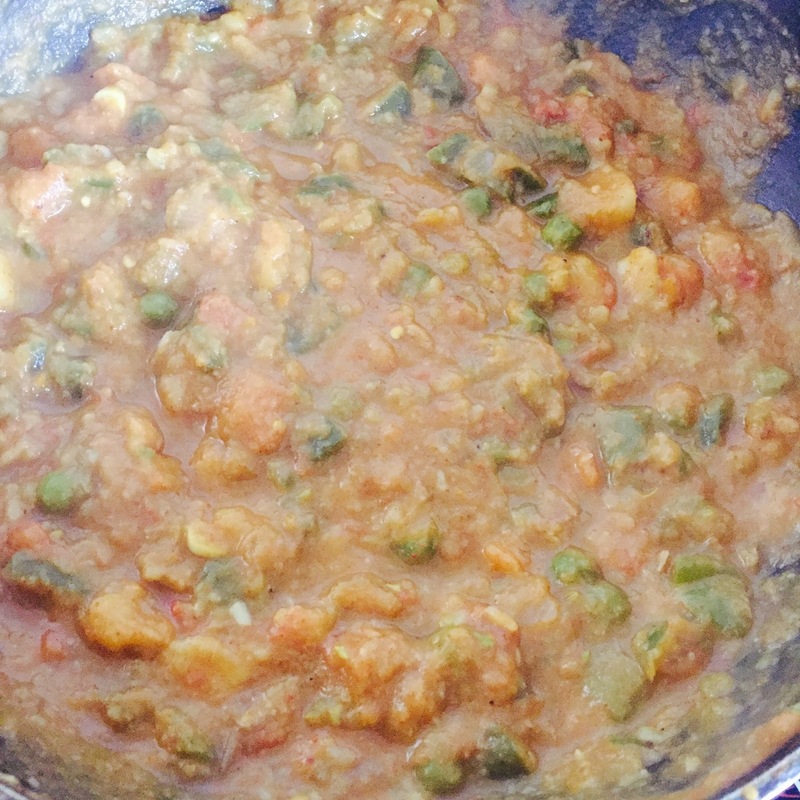 I have shared the recipe for pav bhaji masala as well. 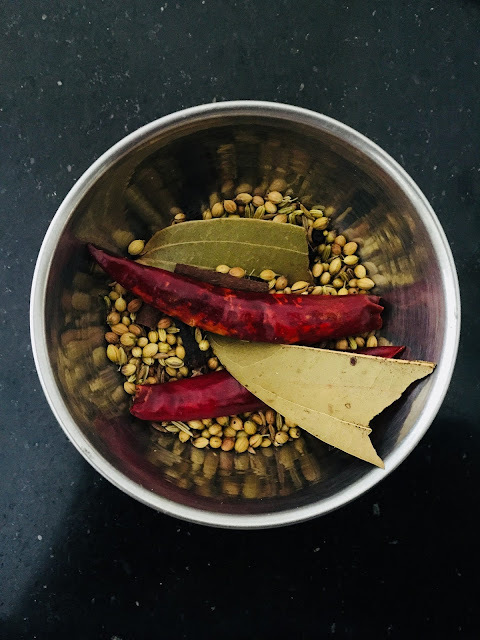 Although pav bhaji masala is readily available in the market, I would highly recommend that you prepare it at home. Its much more hygienic and can be prepared very quickly. Above all, nothing can match the flavour of freshly prepared masala. 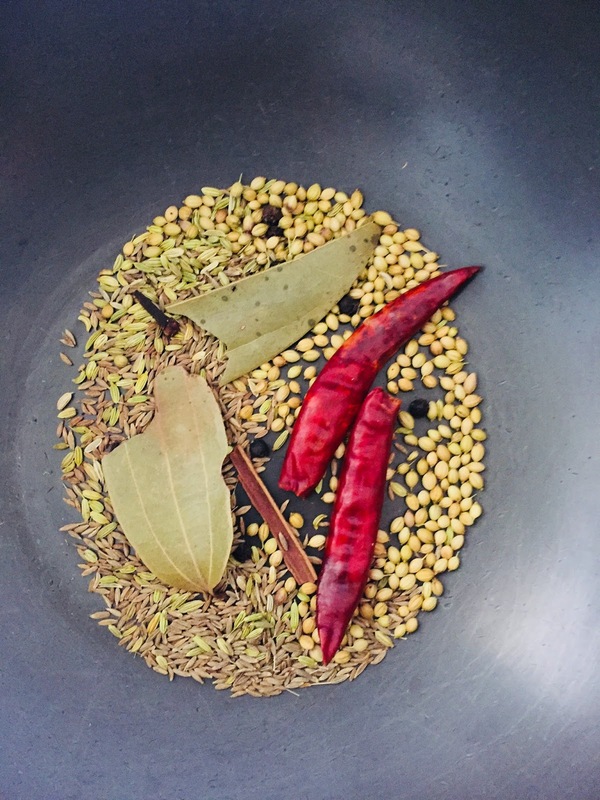 You can prepare and store this masala as well. Make sure that it is in an airtight container. Use a clean and dry spoon everytime. Increase the quantities of whole spices proportionally to prepare this masala in large quantity. Dry roast all the whole spices - Coriander seeds, Cumin seeds, dried red chillies, bay leaves, cinnamon, fennel seeds, peppercorns, cloves. Add Black salt and Dry Mango (aamchur) powder. Grind it to a fine powder. 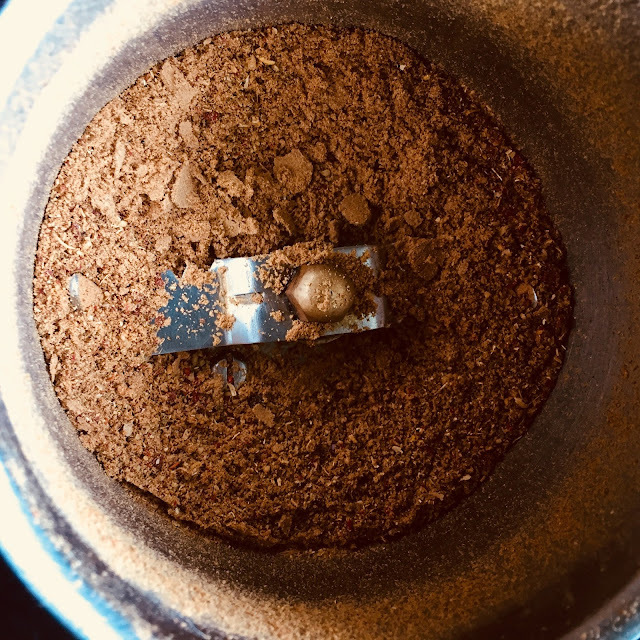 Pav bhaji masala is ready! Pressure cook cauliflower, potatoes, carrots and peas. Heat oil and butter in a kadhai. Add chopped onions and slit green chillies. Saute them for about a minute. Add pav bhaji masala, turmeric and salt. Mix everything well. Cook it on medium flame until its mushy. Mix and mash them well. 1. 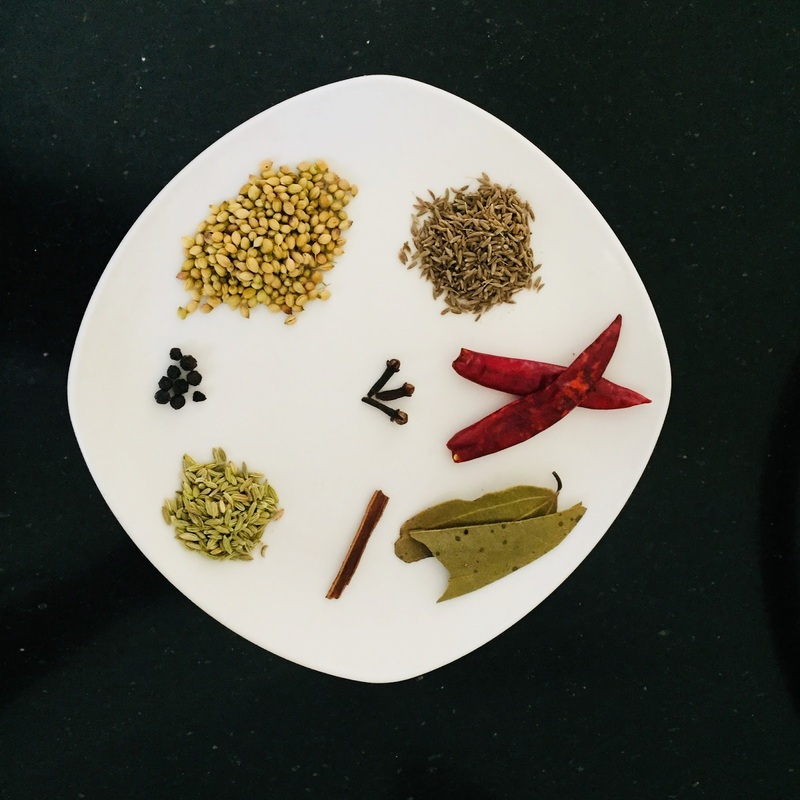 Take all the whole spices - Coriander seeds, Cumin seeds, dried red chillies, bay leaves, cinnamon, fennel seeds, peppercorns, cloves. 4. Add black salt and Dry mango (aamchur) powder. 5. Grind it to a fine powder. Pav bhaji masala is ready! 6. 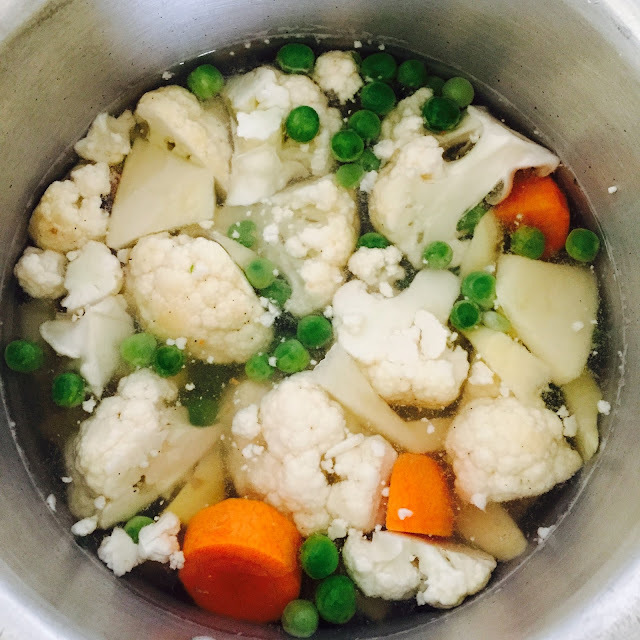 Boil roughly chopped vegetables - Potatoes, cauliflower, peas and carrots. 7. Heat oil and butter in a kadhai. Butter burns very quickly if you are heating it alone. 8. 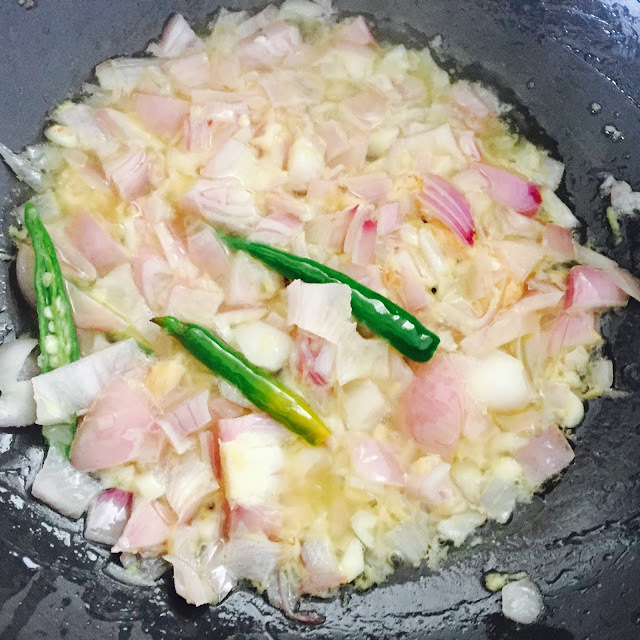 Add finely chopped onions and slit green chillies. 9. Add capsicum and tomatoes. 10. Add turmeric powder, salt and pav bhaji masala(Prepared in step 5). 11. Add boiled vegetables. Mix everything well. Mash it with the back of your spatula. Cook it for a minute. 12. Save the excess water after adding boiled vegetables. 13. Add the vegetable stock now. Amount of vegetable stock you want to add depends on how much thick you want your bhaji to be. 14. Cook it and keep on mashing it. Bhaji is ready! 15. Time to roast pav with butter. 16. Roast it from both the sides. 17. Pav bhaji is ready! Add some lime juice and sprinkle some chopped onions and fresh coriander leaves before serving! Do try this recipe and share your experience with me in the comment section below.